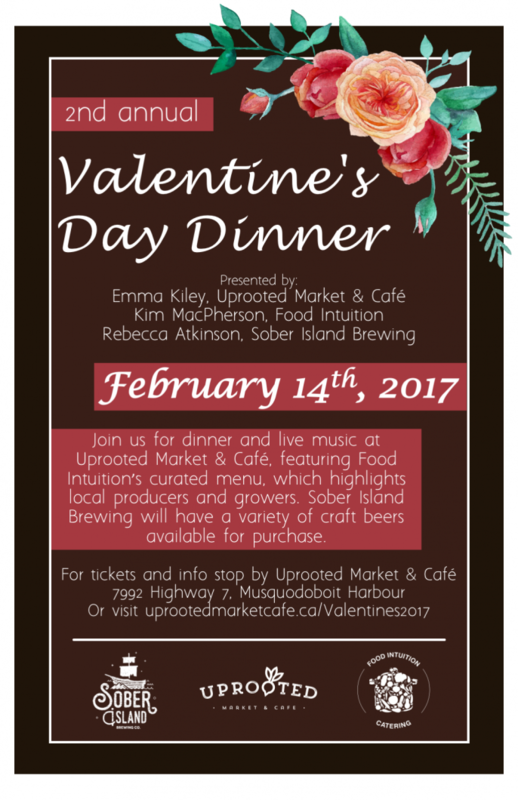 Join us at Uprooted Market & Café for a romantic three-course dinner prepared by Kim MacPherson, chef and owner of Food Intuition. 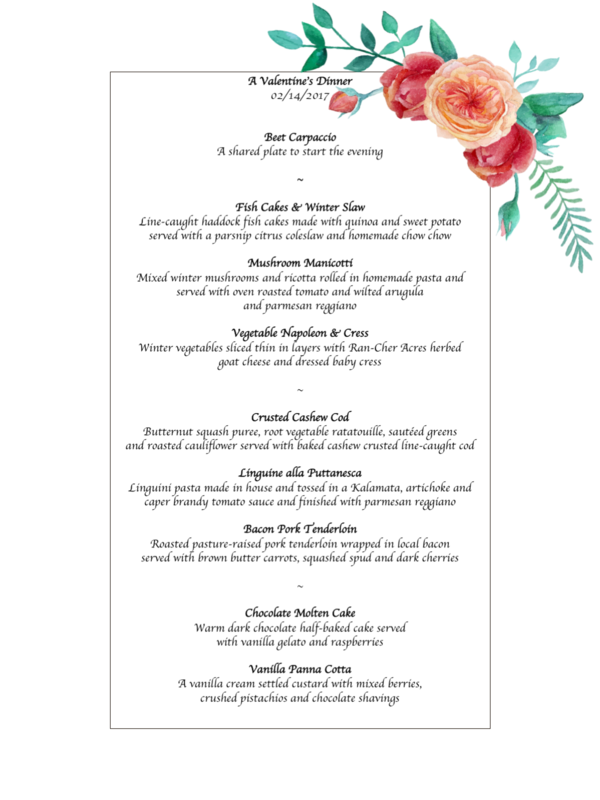 Kim’s carefully curated menu features locally sourced growers and producers who are committed to creating a healthy and sustainable food system in Nova Scotia. Rebecca Atkinson of Sober Island Brewing will be on site with their signature Oyster Stout as well as their Winter Rye, British IPA and Bitter. Available in 4oz glasses for $2.50 or try all four for $8! Ticket’s are $50 + tax per person, which includes a three-course meal and live acoustic guitar. Uprooted’s coffee, tea, espresso, hot chocolate and chai latte as well as Sober Island craft beer will be available for purchase. For tickets and info stop by Uprooted Market & Café.